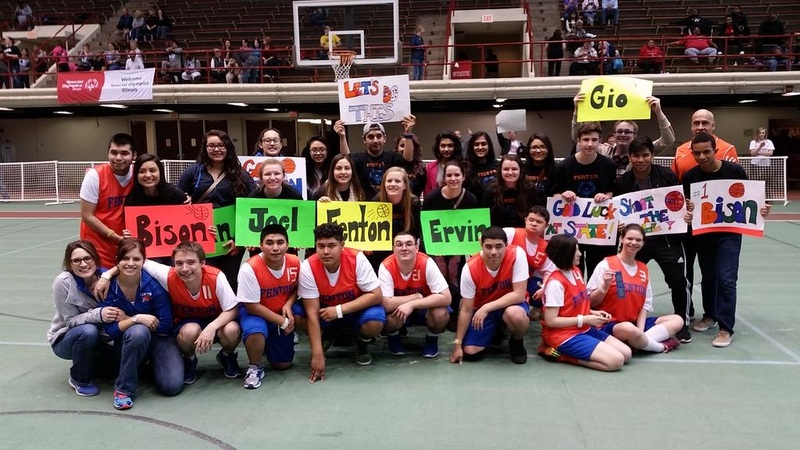 The Fenton High School Bison had plenty of fans in the stands for their games at the 2015 Special Olympics Illinois State Basketball Tournament March 13-15 to help cheer them on to a gold medal finish in their high school division. 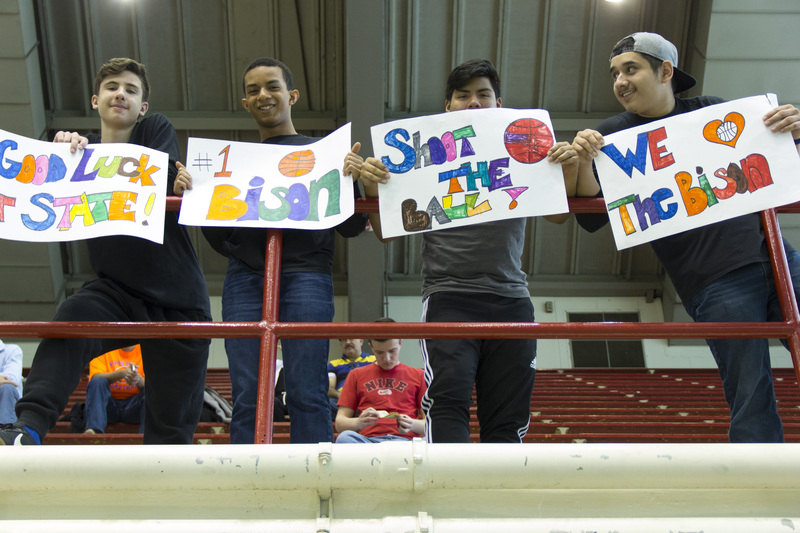 In addition to all the excited parents and family members in attendance, the high school’s Interact club was on hand with homemade signs of encouragement for the Bison. 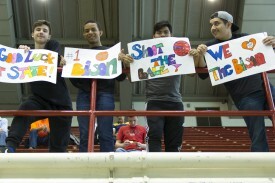 More than 20 club members made the trip down to Normal to cheer on their special needs peers. Ellie Gonzalez, president of Interact, said the club’s mission is to help the community and specifically to promote Special Olympics. This is the first year that the club made posters for the team. 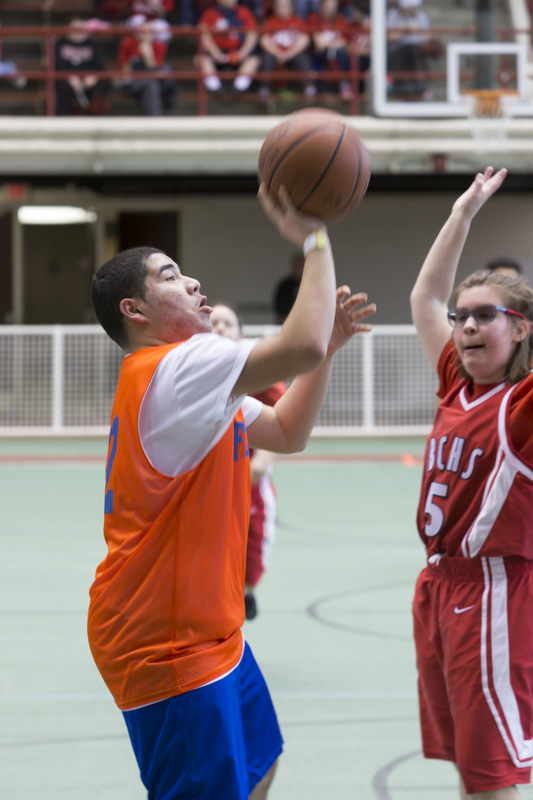 Susan Earley, parent of Special Olympics athlete Samantha, said the Bensenville school has been extremely supportive of its special needs students. “It’s a very inclusive environment for special needs kids,” Earley said. In fact, the school surprised the basketball team on Friday morning with a tour bus in which to ride to Normal instead of the usual school bus. And, the coaches created a video about the team that they showed on the bus on the way downstate. This is the team’s third time in the past four years to make it to State Basketball. 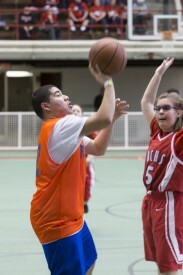 The school has held many fundraisers for the Special Olympics team, including a Pack the Place event which featured T-shirt sales and raffles. And, the seniors on the Special Olympics team were included in Fenton’s Senior Night festivities. This year, the Interact club brought nearly twice as many peers to support the Special Olympics team as members on the team. “We always have the biggest entourage” at the state tournament, Earley said. In fact, Samantha was honored after their first game with the Ron Knisley Spirit of the Game Award. Court referee Bob Reczek said Samantha “had a contagious smile and good attitude” that the officials felt embodied the spirit of the award. 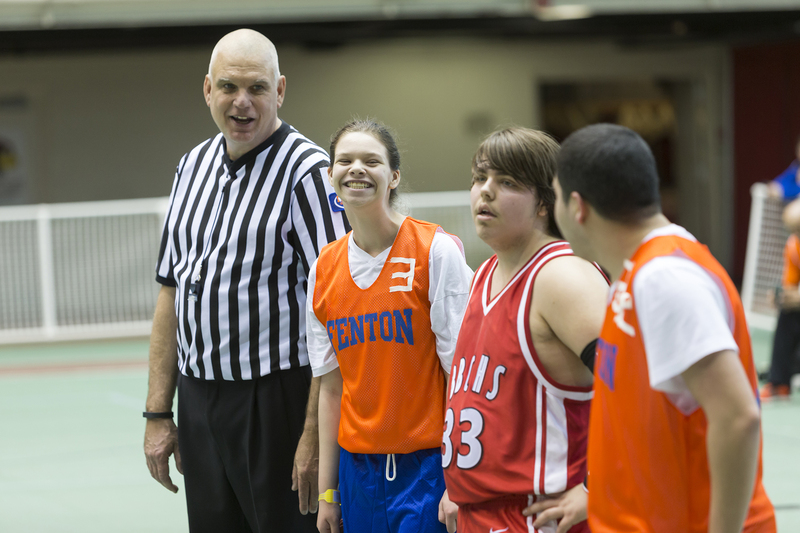 “I can’t say enough good things about Fenton High School and what it does for special needs students,” said Earley.